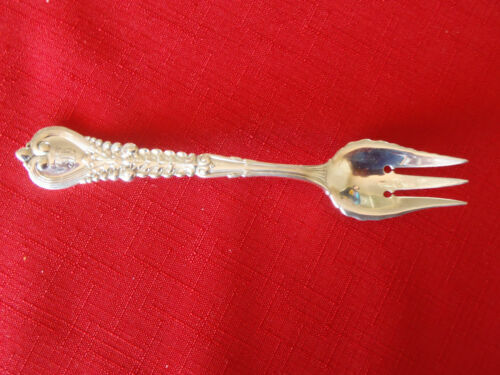 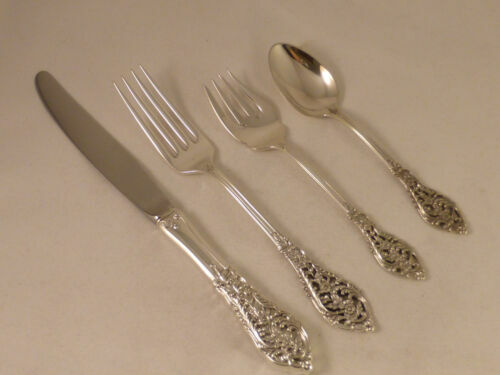 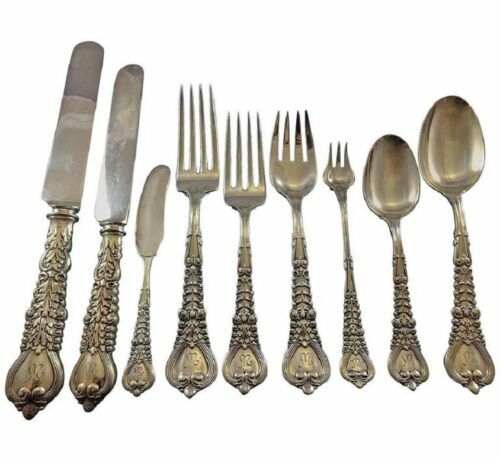 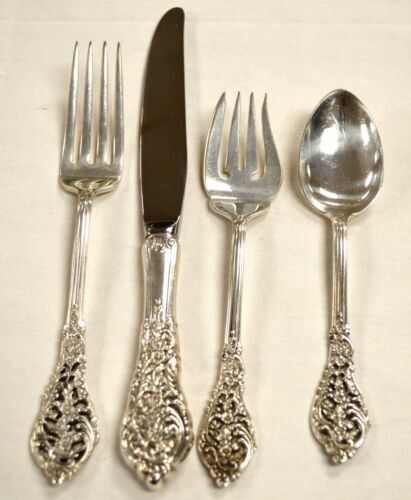 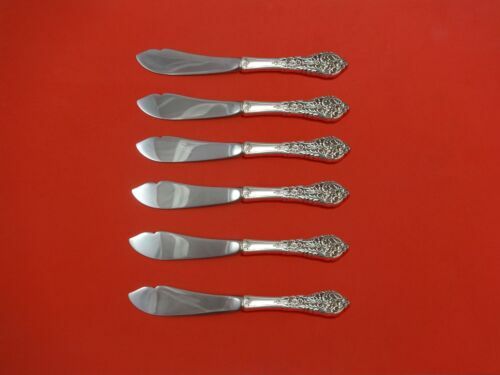 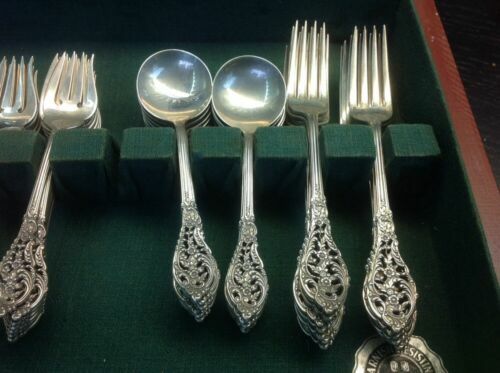 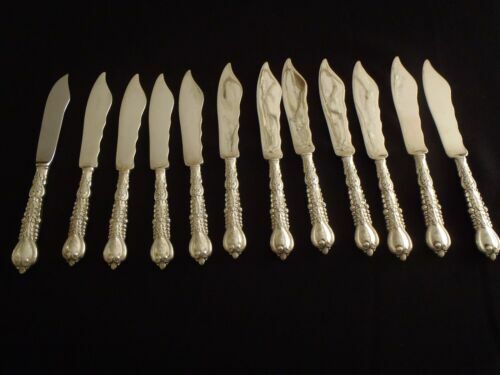 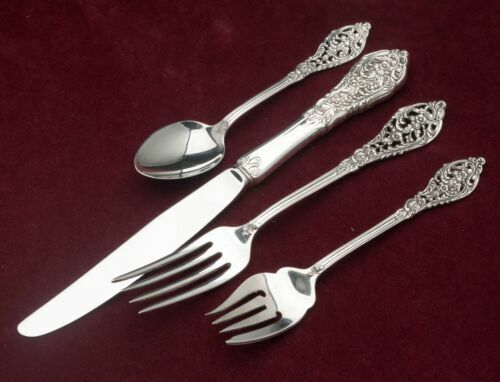 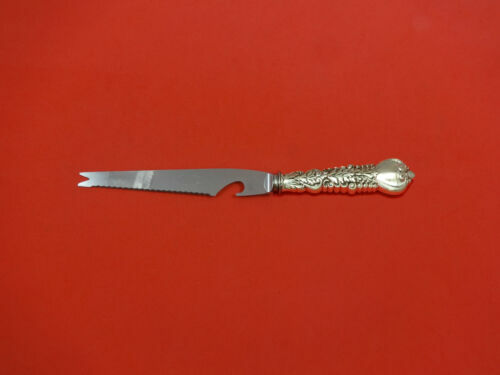 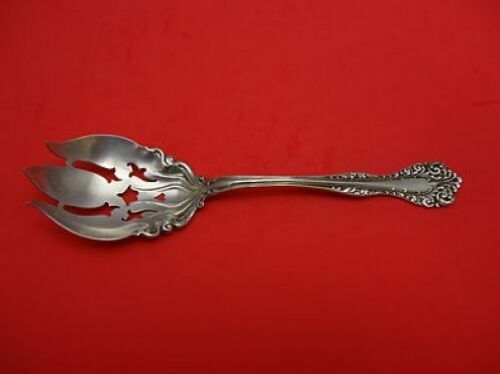 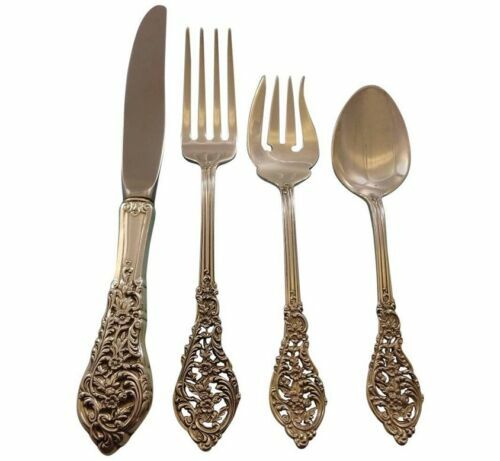 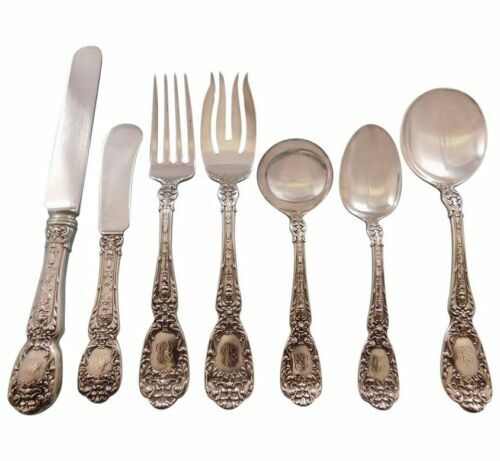 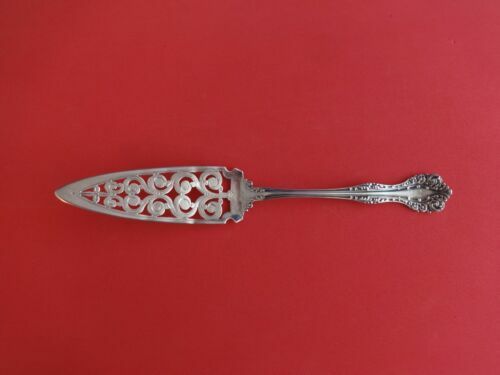 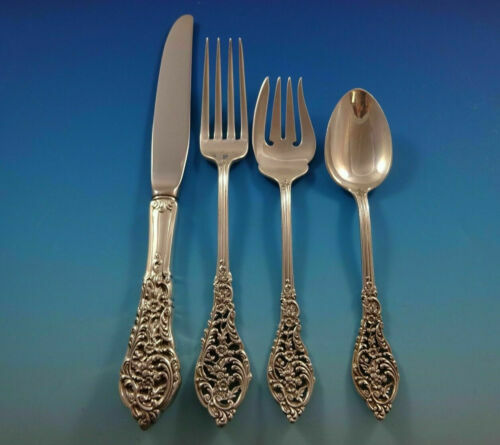 $79.0 Vtg Florentine Lace By Reed & Barton Sterling Silver Dinner Place Fork 7 3/8"
$300.0 Gorham Florentine-Florenz Sterling Silver Large Solid Pie Knife - 9 1/8"
$279.0 Florentine by Tiffany & Co. Sterling Silver Salad Fork 3 Tine 2 Hole 6 3/4"
$289.0 Florentine by Tiffany & Co. Sterling Silver Salad Fork 3-Tine 2-Hole 6 3/4"
$389.0 Florentine by Tiffany & Co. Sterling Silver Dinner Knife 10 1/4"
$389.0 Florentine by Tiffany & Co. Sterling Silver Nut Pick In Box Set of 2 5 3/4"
$379.99 Florentine-Wendt Sterling Soup Ladle-11"
$809.0 Florentine By Tiffany Sterling Silver Salad Serving Spoon Long Goldwashed 10"
$150.0 Gorham Florentine-Florenz Sterling Silver Serving Spoon, Berry/Casserole, 7 1/4"
$289.0 Florentine by Tiffany & Co. Sterling Silver Olive Fork 2-Tine Original 7"
$309.0 Florentine Lace by Reed & Barton Sterling Silver Salad Serving Spoon 9"
$509.0 Florentine by Tiffany & Co. Sterling Silver Berry Spoon Leaf Shape 9"
$389.0 Florentine by Tiffany and Co Sterling Silver Dinner Knife Blunt 10 1/2"
$259.0 Florentine by Tiffany and Co Sterling Silver Baked Potato Fork Original 7 1/2"
$259.0 Florentine by Alvin Sterling Silver Jelly Cake Knife Pierced 8 5/8"
$389.0 Florentine by Tiffany & Co. Sterling Silver Sugar Sifter 5 5/8"
$209.0 Florentine by Alvin Sterling Silver Salad Serving Fork 8 1/2"
$289.0 Florentine by Tiffany & Co. Sterling Silver Fish Knife w/Stainless 8 1/8"
$289.0 Florentine by Tiffany & Co. Sterling Silver Fish Fork 6 3/4"
$289.0 Florentine by Tiffany & Co. Sterling Silver Salad Fork 4-Tine 6 3/4"
$509.0 Florentine by Tiffany & Co. Sterling Silver Cheese Knife w/ Pick Orig FH 7 1/8"
$259.0 Florentine by Tiffany & Co. Sterling Silver Pastry Fork 4-Tine 6"
$219.0 Florentine by Tiffany & Co. Sterling Silver Coffee Scoop HH Custom Made 6"
$189.0 Florentine by Tiffany & Co. Sterling Silver Serving Spoon 8 1/2"
$189.0 Tiffany & Co Florentine Sterling Silver Baked Potato Fork w/ 2 Tines - 7-3/8"
Buy: $199.99 6 Alvin Sterling Silver FLORENTINE Teaspoons 5-3/4" No Monogram Estate Find! 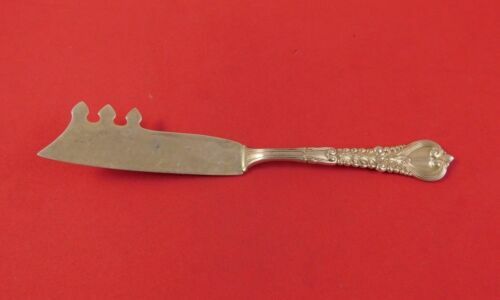 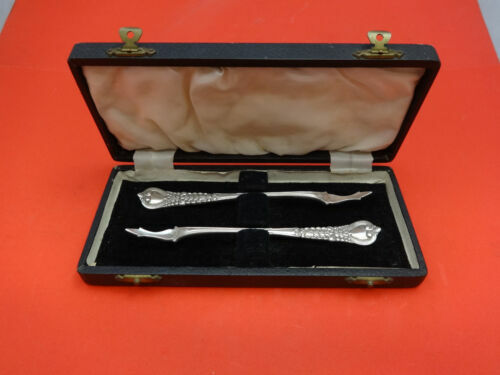 $289.0 Florentine by Tiffany & Co. Sterling Silver Pastry Fork GW 3-Tine 2 Hole 6 1/2"
$219.0 Florentine by Tiffany & Co. Sterling Silver Ice Cream Scoop HHWS Custom Made 7"
$289.0 Florentine by Tiffany & Co. Sterling Silver Ice Cream Fork Original 5 3/4"
$289.0 Florentine by Tiffany & Co. Sterling Silver Gumbo Soup Spoon 7 7/8"
$509.0 Florentine by Tiffany & Co. Sterling Silver Tomato Server 8"
$48.0 Reed & Barton Florentine Lace Sterling Silver Luncheon Fork - 7 3/8"
$309.0 Florentine by Alvin Sterling Silver Pea Spoon Gold Washed 8 1/2"
$229.0 Florentine By Tiffany and Co. Sterling Silver Sauce Ladle Shell Bowl GW 6 3/4"
$489.0 Florentine by Wendt Sterling Silver Macaroni Server Gold Washed 9 3/8"
$459.0 Florentine by Tiffany & Co. Sterling Silver Sugar Sifter Scalloped 5 3/4"
$500.0 Antique Sterling Silver Gorham, Florentine Pattern Luncheon Knives / 15. 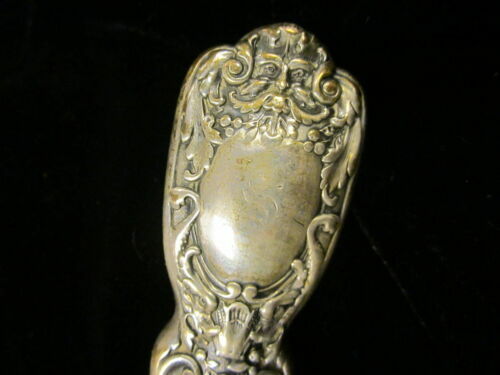 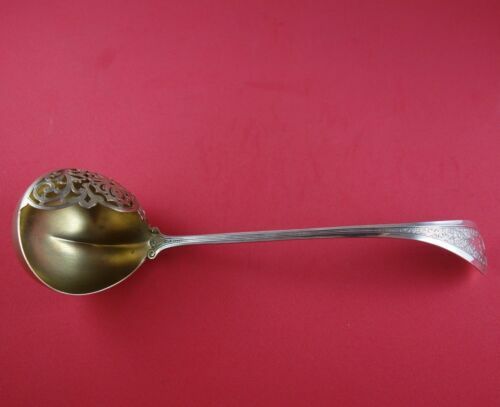 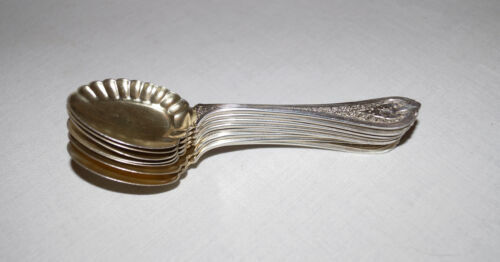 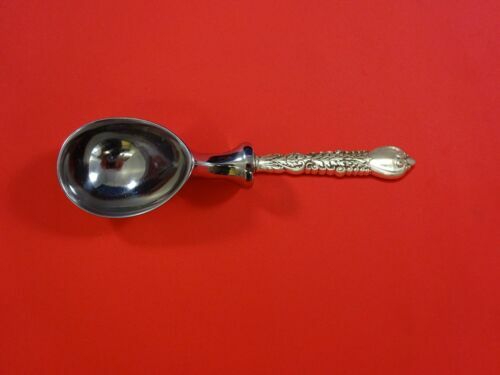 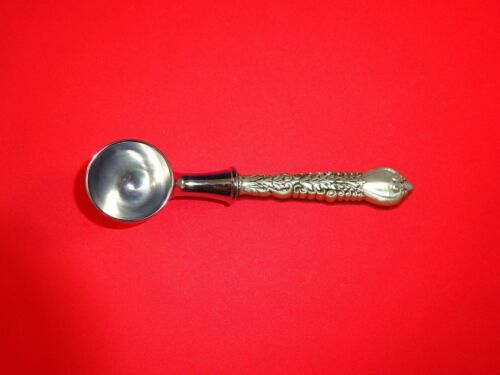 $589.0 Florentine by Wendt Sterling Silver Punch Ladle Gold Washed with Pcd Lip 11 3/8"